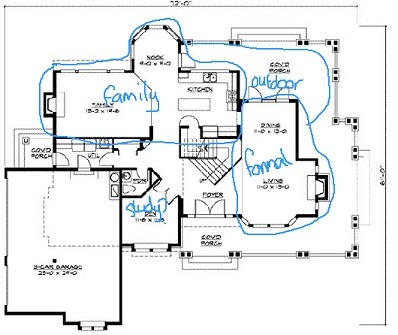 If you're doing a home design project, the chances are that you'll be dealing with big pdf floor plans that you've got to review and give feedback on. More often than not the pdf document will be designed to print out on a piece of paper that’s much bigger than your average home printer. 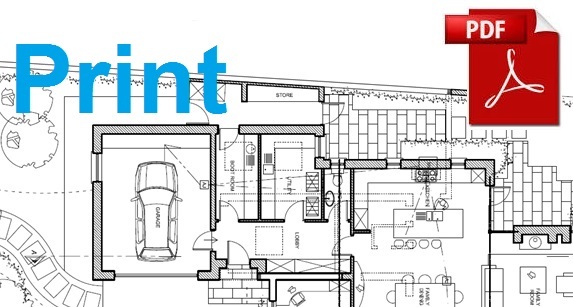 On this page I'll show you how to print out a section of the pdf floor plan to the right scale on your home printer. Step 2 - Use the zoom in button to zoom in as much as you need to. 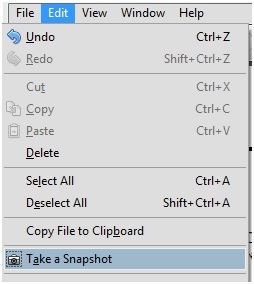 Step 3 - Click on the ‘Edit’ menu and select ‘Take a Snapshot'. Step 4 - Click and drag to take the snapshot. Step 5 - Use File --> print. 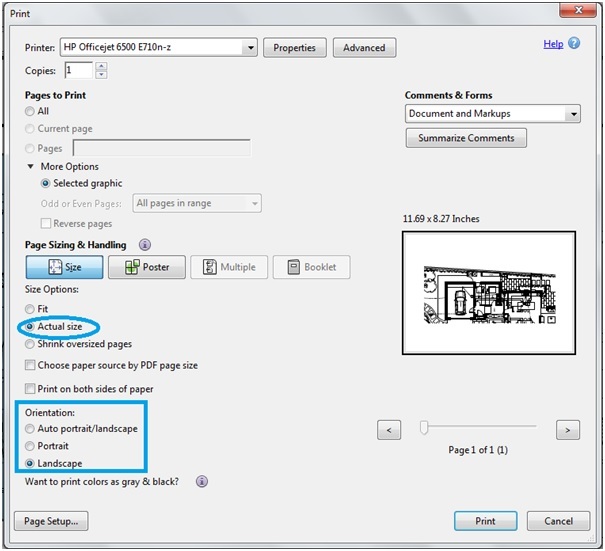 Make sure that the setting ‘Actual size’ is selected and the paper orientation makes sense and then click ‘Print’. That's it. You can repeat these steps for each section of the floor plan that you're interested in. 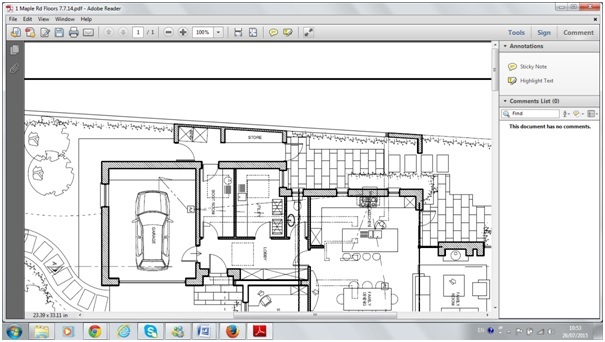 Here's some more pages on floor plan analysis. The floor plan symbols page may also be helpful. 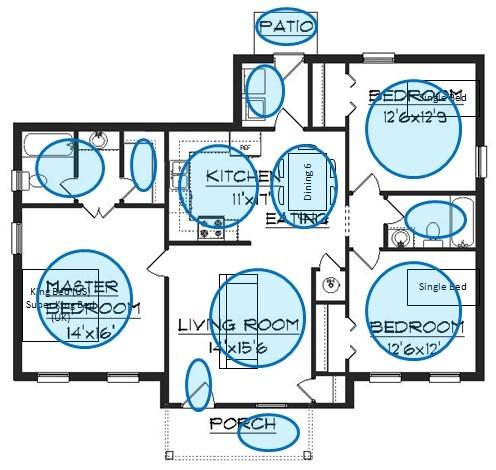 Does your floor plan have all the information you need?